Administrators are continually searching for ways to effectively measure college, career and life readiness (CCLR) outcomes. When students have a plan, they are more likely to execute on it and align their postsecondary path with their life goals. NSI 2017: Your Checklist and Things to Know Before You Go! How Much Should Parents and Counselors Oversee Students’ College Applications? 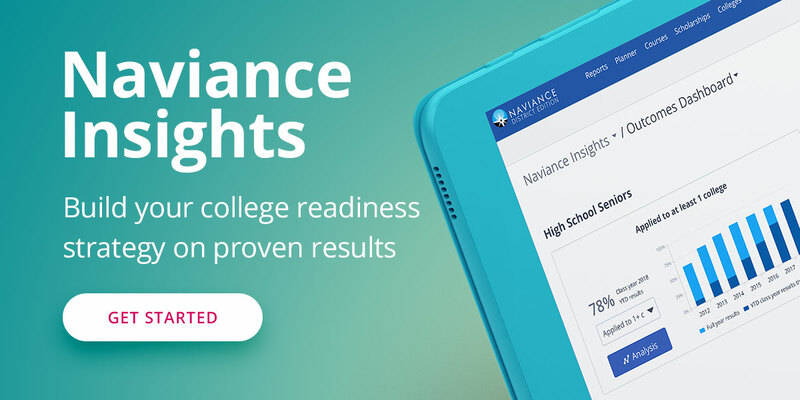 What’s New with Naviance eDocs in the 2016-17 school year? Celebrating Teacher Appreciation Week: Who’s the Teacher You’ll Never Forget?